Ogguere is the person's name. 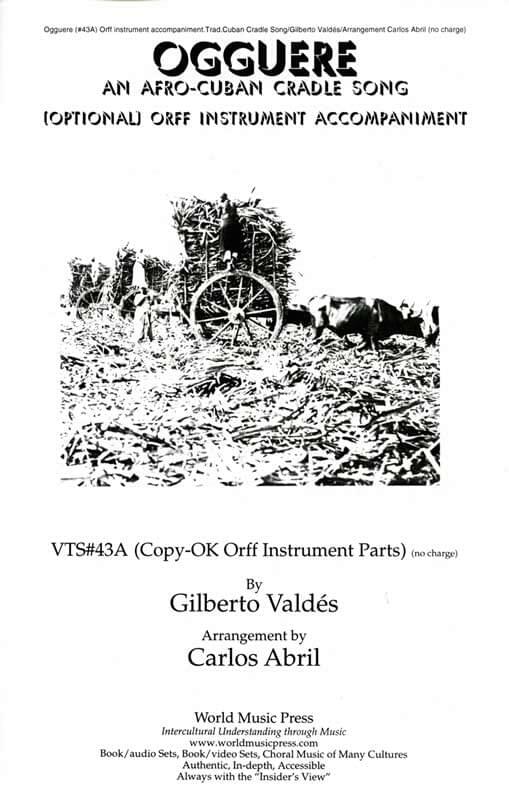 By Gilberto Valdes with an arrangement by Carlos Abril, this Afro-Cuban cradle song is in an unusual setting. The cultural context and translation are included. Unison; in Spanish with piano; simple percussion, flute, or recorder/optional Orff instrument arrangement.